You know those squiggly, not-even-one-bit-straight road lines painted down the middle of the road? Sheesh! How could that possibly happen? I’ll tell you! The poor guy is busy painting lines on the road and his cell phone rings. Concerned that it may be a new client on the line, he answers the phone. Next thing you know, the mess is made. How can you stop the phone distractions while getting all phone calls answered? 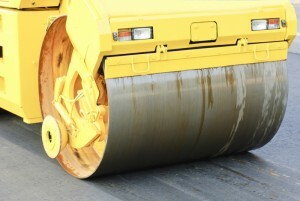 You add Call Center Plus Paving Contractor answering service to your team. We are here 24/7 to meet and exceed your needs. Whether you are laying down a new parking lot or driveway, doing seal coating, cracksealing, or patching paved surfaces, you can’t drop what you are doing to answer a ringing phone. Setting up voicemail is an option, but not a great one. The majority of people who leave voice mail do not really expect to be called back in a timely manner, if at all. They may leave a message but they will then go to the next paving contractor on the list and give them your job. Using a live US based paving answering service with 24/7/365 access gives you the best of both worlds. We answer your phones and you keep working, uninterrupted. Win-Win! When we answer your phones, we answer using your particular answer phrase. We take the message, gather all information you need, and assure the caller a return call from you. The message is then sent immediately to you via email, SMS text messaging, or both. Or if you choose, we can patch the caller straight to you. We can also do any or all of these options at once. We can transmit your messages simultaneously to as many people as you want to have them. We can even answer simple questions if you provide us with some basic information. To receive a form to setup a Paving Contractor Answering Service account with Call Center Plus, enter your information below! Our pricing is affordable and very easy to understand. You only pay a nominal account maintenance fee every 4-week billing cycle and then just for the operator time you actually use. We bill in real time, meaning we round to the nearest second, not minute. You are under no obligation to pay for any bundled amount of minutes. Pretty simple, right? For that price you get 100% of our services 100% of the time. We do no al a carte billing. We are also capturing those calls that lead to jobs you would have missed, so we actually help you make money! Call Center Plus “paves” the way to keep your business running smoothly. So get your “asphalt” in gear and pick up the phone to get more info. Call Center Plus’ 24/7 live paving contractor answering services may be the best investment you’ve made for your paving business since tar! Mention Paving Contractors Answering Service or Answering Service for Paving Contractors for a Free 1 Hour Setup!